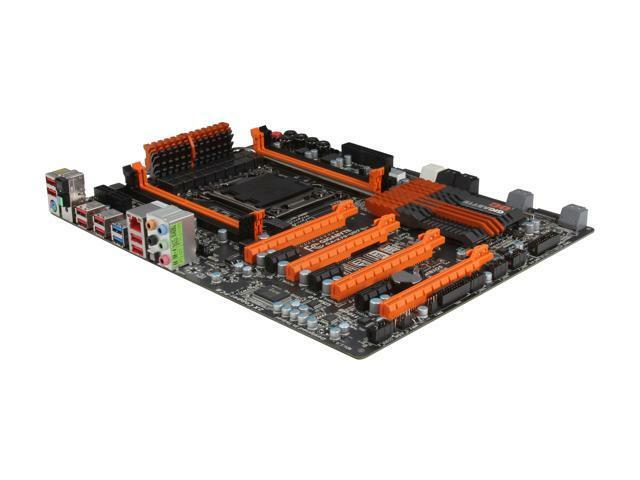 Comments: I wanted this board to work, it had the best set of features with the best price. I am left with a bad taste in my mouth because customer service will not get back to me. I may have to bite the bullet and go with ASUS or EVGA. I know that at least EVGA customer support is top notch. Thank you for your comments. Honest and constructive opinions are always welcome. We apologize for your difficulty with your Gigabyte product. Please contact us at newegg-support@gigabyte-usa.com with the case number 2012032702 in the subject line. We will provide personalized service and analysis to help solve your issue as soon as possible. If the matter is urgent, please send us your contact number, and we will contact you ASAP. Comments: This is an awesome board. if I had known that ver 2 was being worked on, I would have waited probably. But absolutely no regrets, worked out of the box with little fuss booted up perfectly. The PCIE 3.0 even boosted my old 8800 performance a bit. Comments: It's really unfortunate that some on here have had such a terrible experience and I feel their frustration as I went through absolute hell with ASUS over my Crosshair IV Extreme. (Which is in a closet because ASUS sends broken used mobos back for RMAS). My advice for those who've had a bad experience with this mobo is to ensure you get the service to deserve and I hope your 2011 is running soon because it is beautiful. Comments: A truly awful effort on Gigabyte's part. Thank you for your comments. Honest and constructive opinions are always welcome. We apologize for your difficulty with your Gigabyte product. Please contact us at newegg-support@gigabyte-usa.com with the case number 2012021702 in the subject line. We will provide personalized service and analysis to help solve your issue as soon as possible. Comments: For the reviewers that had troubles... can you please help out the rest of the community by posting what memory you used in your build? That would be very helpful for future buyers and for finding compatibility issues. Comments: I ended up getting the G1.Assassin2 and enjoying the board. I liked the UD7 better in terms of features, just read all the people who have had DOAs or issues with this board. I don't think this MB is stable yet. Don't count on Gigabyte for any support. This board is BIG, make sure your case can support the size of this MB. Comments: Newegg was cool about replacing the first board, even sent it overnight. Newegg... You're all right. Comments: I am determined to get a good one and wring it out, but now they are out of stock and I will have to wait.